I could literally eat breakfast food all day long, every single day and I have done that many times. Yesterday I made myself breakfast for lunch after I finished coaching my morning skating classes. 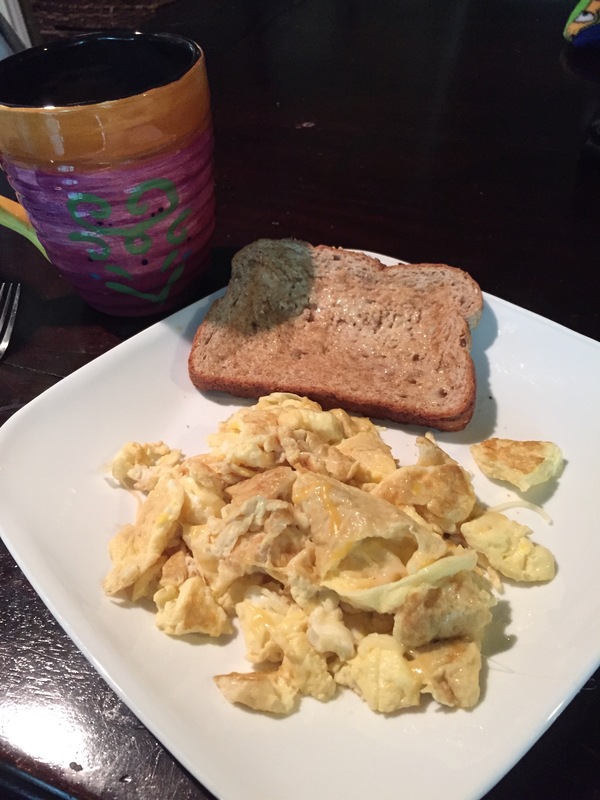 I scrambled 2 eggs and 1 egg white with a little bit of shredded cheddar cheese, on the side I had a slice of whole wheat toast with a teaspoon of unsalted butter and I of course paired the meal with a nice cup of coffee mixed with my favorite fat-free hazelnut creamer. Dunno how I missed this one! I like breakfast food too – wish Pawpaw did as much as we do…tehe!